Today I received a copy of “Special Notice 11-02” from the Met’s Information Rights Unit. As far as I’m aware, this is the first time the document has been made available to a member of the public, thus answering a couple of previously unanswered questions recently asked by blogger Anna Racoon (you can read her thorough post on the subject by clicking here). In ‘02, this position was held by Michael J. Todd QPM (deceased), who was appointed chief constable of the Manchester Police Service later that year. There is still no explanation as to why “Special Notice 11-02” remained hidden for 14 years. That may prove to be a question worth asking. Stay tuned. As readers of Shooting the Messenger and The Sidebar (my Atlanta, GA blogging buddy Peter M. Heimlich’s world-beating website) will know, there have been some major developments in recent months re: efforts by members of the United States Dietary Guidelines Advisory Committee (DGAC) to gag journalist and author Nina Teicholz. Taking stock of the story so far, it’s remarkable how closely each new development seems to mirror Teicholz’s own account of previous efforts by nutritionists to suppress dissenting viewpoints. At a conference that [Danish researcher Uffe Ravnskov] and I were both attending near Copenhagen in 2005, he stood out in the crowd simply because he was willing to confront this gathering of top nutrition experts by asking questions that were considered long since settled. 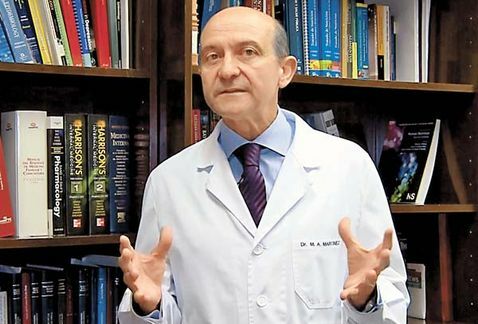 “The whole pathway, from cholesterol in the blood, to heart disease – has this pathway really been proven?” he stood up and asked, rightly though rhetorically, after a presentation one day. “Tsh! Tsh! Tsh!” A hundred-plus scientists wagged their heads in unison. “Next question?” asked an irritated moderator. For Teicholz, who started her research “expect[ing] to find a community in decorous debate,” this incident illustrated a surprising lack of tolerance within the nutritional sciences for alternative viewpoints, or even simple scientific inquiry. Unfortunately, her anecdote would prove eerily prescient. On November 5 last year, a letter signed by over 180 credentialed professionals, including a number of prominent faculty members at major universities, was sent to the BMJ (formerly the British Medical Journal). The letter – organised by Bonnie Liebman at the Center for Science in the Public Interest (CSPI), a Washington, DC-based advocacy non-profit – requested that the journal retract The scientific report guiding the US Dietary Guidelines: is it scientific?, Teicholz’s September 23 article criticising the methodology and findings of the 2015 DGAC. If there’s any doubt as to whether this constituted an attempt to silence a critic, all 14 members of the 2015 DGAC signed their names to the letter. But the effort to gag Teicholz didn’t end there. In March this year, she was disinvited from the National Food Policy Conference, a prestigious Washington, DC food policy panel at which she was scheduled to speak the following month (her replacement – wait for it – was president and CEO of the Alliance for Potato Research & Education Maureen Storey). As [Ancel] Key’s ideas spread and became adopted by powerful institutions, those who challenged him faced a difficult – some might say impossible – battle. Being on the losing side of such a high-stakes debate had caused their professional lives to suffer. Many of them had lost jobs, research funding, speaking engagements, and all the many other perks of prestige. …they were not invited to conferences and were unable to get prestigious journals to publish their work. Experiments that had dissenting results, they found, were not debated but instead dismissed or ignored altogether. Things took a sinister turn in late March, with Peter reporting on how DGAC chair Barbara Millen and US Department of Agriculture exec Angela Tagtow conspired with Thomas Gremillion – director of food policy at the Consumer Federation of America (CFA), which organised the conference – to kick Teicholz off the panel (click here to read Peter’s May 2 article showing the extent of Millen’s involvement). …slander and personal ridicule were surprisingly not unusual experiences for…opponents of the diet-heart hypothesis. Last month, several prominent physicians criticised Katz for his ad hominem remarks, leading Yale University’s School of Medicine to publicly disassociate from its otherwise unrelated namesake, the Yale-Griffin Prevention Research Center – of which Katz is the founding director. Bringing the whole sorry story up-to-date, this month Peter – with help from my sweetie Kelsi White and I – exposed Harvard professor and DGAC member Dr. Frank Hu’s efforts to solicit European signatories to Bonnie Liebman’s CSPI retraction letter. Like those whom she wrote about in The Big Fat Surprise – researchers such as John Yudkin, Pete Ahrens and Mary G. Enig – Teicholz has dared to challenge the scientific consensus on nutrition, and has paid the price. Yet unlike those before her, Teicholz remains a prominent voice of dissent. Is the tide starting to turn on diet and nutrition? Will we soon see a crack in the consensus? Wouldn’t that be a big fat surprise. 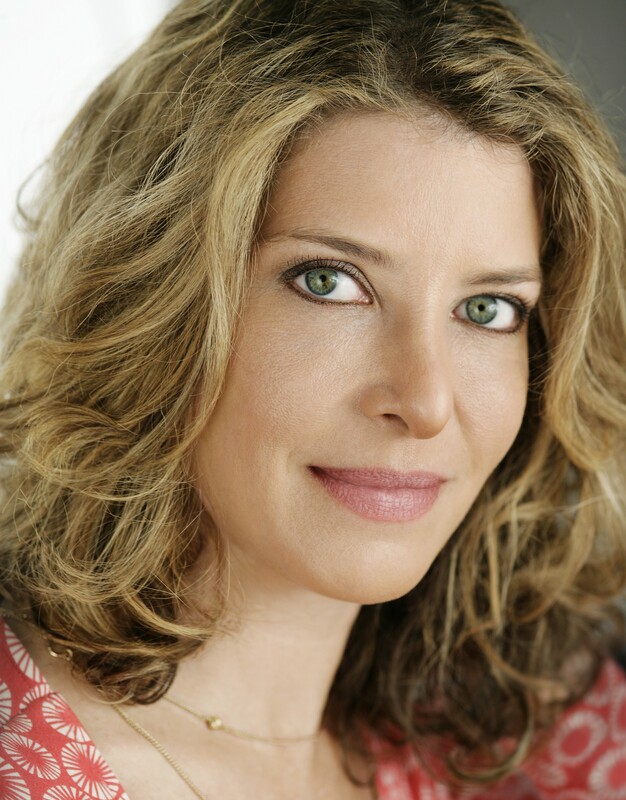 According to Teicholz, the BMJ is preparing to announce it will not retract her article. A PDF of the CSPI’s retraction request is available by clicking here. An updated, December 17, 2015 version – absent the names of 18 signatories – is available by clicking here. On April 25, my US blogging buddy Peter M. Heimlich and I co-signed and co-blogged a request for a review of “crystal therapy” and other dubious medical treatments being offered by a Liverpool hospital. 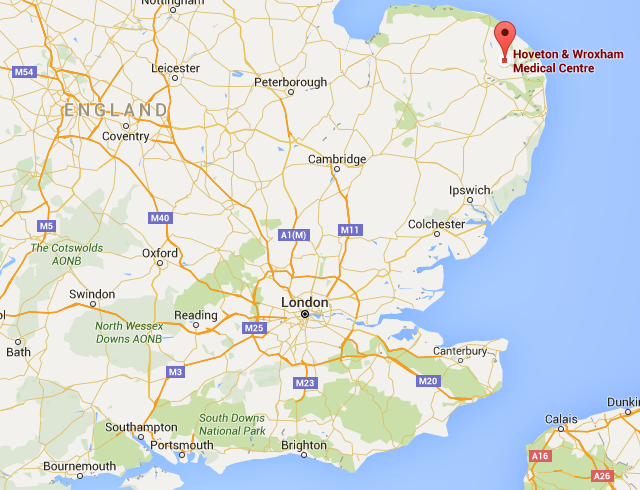 On May 11, we blogged about a similar request we made re: a Norwich area medical facility offering “Thought Field Therapy” and other iffy treatments. Today we filed the following request with the CQC re: the Royal London Hospital for Integrated Medicine, Glasgow Homeopathic Hospital, and Bristol Homeopathic Hospital. (Click here to read the request). For producers of “clickbait,” Reddit – the self-titled “front page of the Internet” and 27th most popular website in the world – is a treasure trove of copy-and-paste-friendly content. 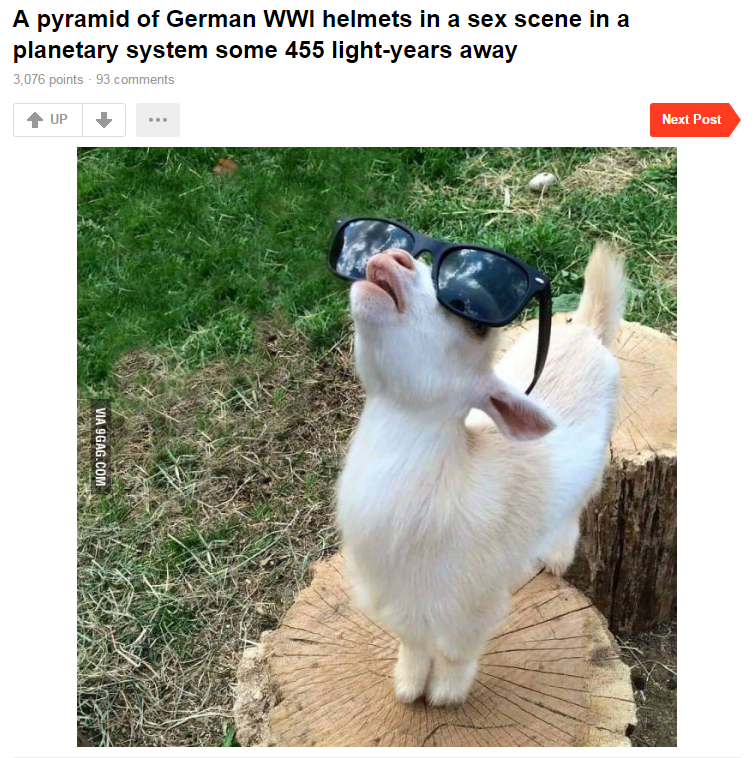 Without getting swamped by copyright issues, the reason clickbait websites such as 9GAG presume to be able to borrow content from Reddit without permission is that the content on Reddit is a. user-generated and b. often consists of little more than a photo-with-caption. If the purpose of “clickbait” is to get clicks, lifting content from Reddit is a quick and inexpensive way of doing so. A caveat: if you’re not clever enough to produce your own content, at least make sure you can distinguish actual content from automated gibberish. Big thanks to Kelsi Michelle White for prompting this post. The revelation that the presumption of guilt had been formally codified into official police policy was regarded as “genuinely shocking” by those working within the criminal justice system. The question remained as to why – 14 years after publication – this was only now being made public. Earlier this week, I tried my luck requesting a copy of the notice via a general enquiry at the Met’s current website. I’ve since been informed my enquiry is being treated as a Freedom of Information request. Stay tuned. Click here to read the request. See also: Crystal Therapy on the NHS, my April 23, 2016 item on the Aintree University Hospitals’ promotion of Crystal Healing and Chromotherapy. 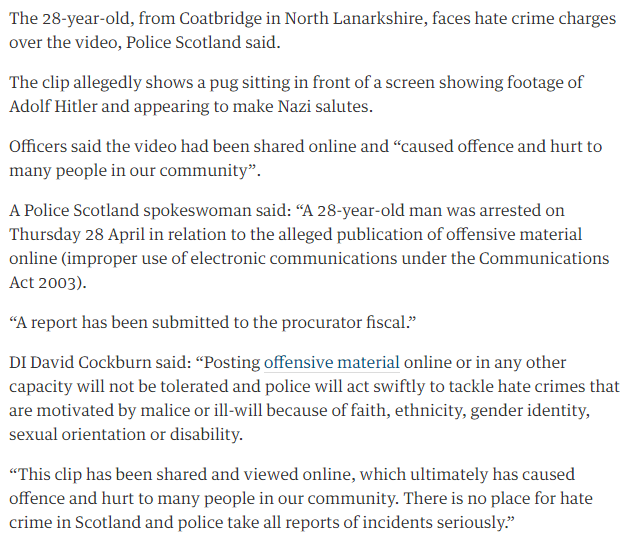 Police in Scotland have reportedly arrested a 28-year-old man from North Lanarkshire on hate crime charges over a video he allegedly posted online of a dog gesturing a Nazi salute. I’ve asked Police Scotland to confirm the arrest and to further advise on what precautions dog owners can take to avoid causing offence online. Stay tuned. Thanks to Peter M. Heimlich for linking me to the pug-nacious video above. This item is reported by me, crack US (Atlanta, GA) reporter Peter M. Heimlich, who’s cross-posting at his world-beating website, The Sidebar, and my girl, New Zealander Kelsi White. Given the content of the story, our “hands across the water” effort seems fitting. On Monday Peter reported how Barbara Millen PhD, chair of the 2015 US Dietary Guidelines Advisory Committee (DGAC), and USDA executive Angela Tagtow tag-teamed an effort that resulted in author/journalist Nina Teicholz being kicked off a panel at a national food policy conference held last month. Teicholz is a high-profile critic of the DGAC’s methodology and findings (which have been widely criticized by medical experts and organizations). It’s not the first time Millen tried to muzzle Teicholz. Last November, Millen signed a public letter to the BMJ (formerly the British Medical Journal). The letter demanded the retraction of a September 23 article by Teicholz which – you guessed it – criticized the methodology and findings of the DGAC. 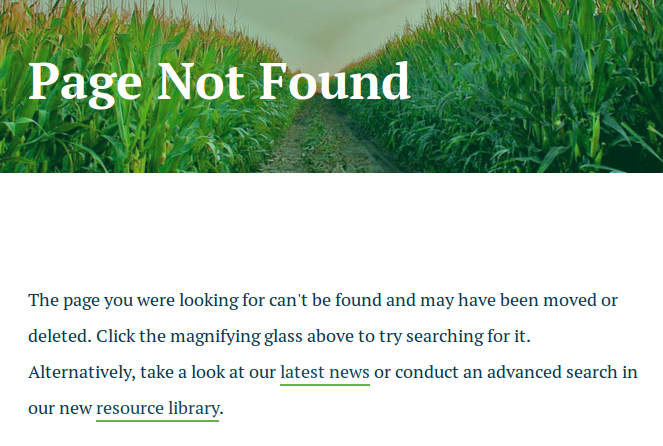 Claiming Teicholz’s article was “riddled with errors” – a claim disputed in a recent Guardian article (see below) and elsewhere – the letter was organized by the DC advocacy nonprofit, Center for Science in the Public Interest (CSPI). 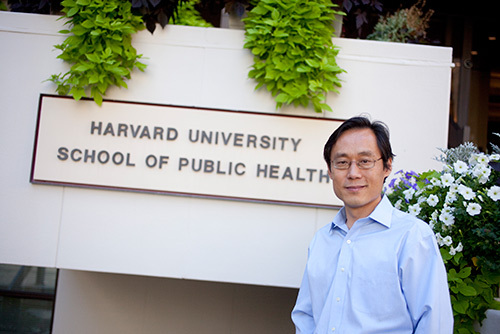 E-mails obtained via a public records request (click here to read) show that another DGAC member, Dr. Frank Hu, a prominent professor/researcher at the Harvard School of Public Health, asked a colleague to sign and circulate the retraction demand which resulted in a chain letter exchanged by European medical professionals and university faculty. 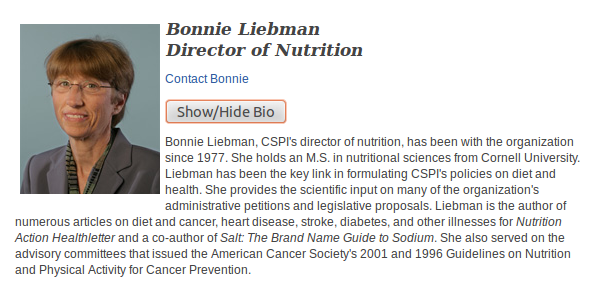 It started with an October 31, 2015 “Dear Colleague” e-mail in which CSPI executive Bonnie Liebman asked dozens of nutrition science professionals to sign the letter. Would you like to sign the attached letter to retract the BMJ article? if so, please email Bonnie Liebman. I would greatly appreciate if you can ask your colleagues in Spain and other European countries to sign the letter. 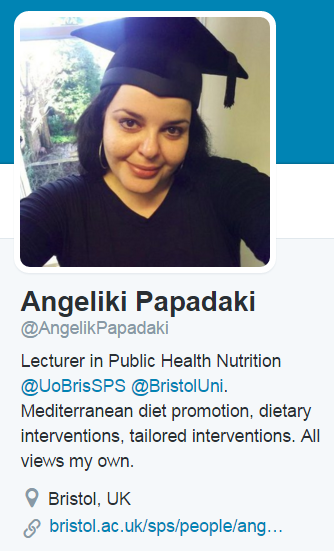 I think it is extremely important to retract the terrible BMJ article for the sake of science and public health. I have read the full version of the attached letter and I agree to include my sign on it. I endorse its full content and the request to the BMJ to retract the journalist’s article. if you agree, you can send an email to Bonnie Liebman <bliebman@cspinet.org> with a similar content to what I have written above in blue font. I would thank you all very much if you are so kind as to ask also to your friends from different European countries to sign the attached letter for the sake of science and public health. Please see attached a suggestion for a BMJ retraction letter, instigated by Frank Hu at Harvard. We were asked to circulate the letter for signatures. If you agree, please send an email to Bonnie Liebman (bliebman@cspinet.org) with a similar content to the below, in blue font, and circulate to your colleagues. I have read the full version of the attached letter and I agree to include my sign on it. I endorse its full content and the request to the BMJ to retract the journalist’s article. Why did Hu encourage colleagues to demand a retraction of what he called “the terrible BMJ article for the sake of science and public health”? We don’t know because he hasn’t responded to multiple inquiries. My BMJ article was a critique of the science used in formulating the 2015 DGA expert report. 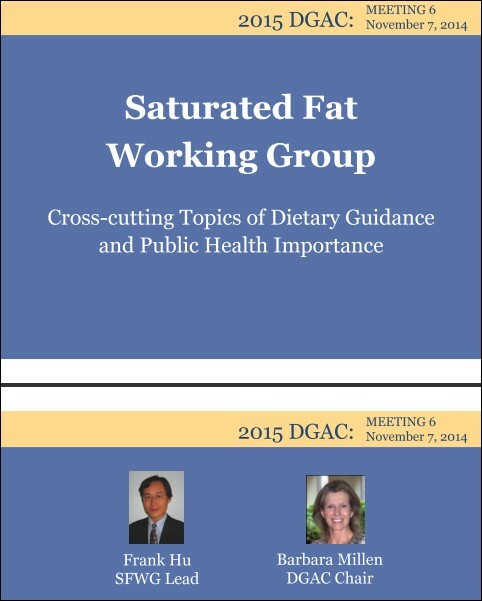 Frank Hu chaired the review on saturated fats, which I critiqued in a number of ways: it did not consult the “Nutrition Evidence Library” per standard USDA practice, and although the studies covered in the review had conflicting and contradictory conclusions regarding whether saturated fats do in fact cause death from heart disease, the review nevertheless concluded that the evidence on this point was “strong.” (Neither of these facts is disputed as part of the retraction request.) The question of whether sat fats cause heart disease has, over the past 5 years, undergone tremendous re-analysis and challenge, yet the Hu review did not reflect that ambivalence. In effect, it did not comprehensively review the most current science on this subject. So was Dr. Hu making a good faith effort to address “an article riddled with errors” or was he attempting to censor a high-profile critic? In September last year [Teicholz] wrote an article for the BMJ (formerly the British Medical Journal), which makes the case for the inadequacy of the scientific advice that underpins the Dietary Guidelines. The response of the nutrition establishment was ferocious: 173 scientists – some of whom were on the advisory panel, and many of whose work had been critiqued in Teicholz’s book – signed a letter to the BMJ, demanding it retract the piece. The letter lists “11 errors”, which on close reading turn out to range from the trivial to the entirely specious. I spoke to several of the scientists who signed the letter. They were happy to condemn the article in general terms, but when I asked them to name just one of the supposed errors in it, not one of them was able to. One admitted he had not read it. Another told me she had signed the letter because the BMJ should not have published an article that was not peer reviewed (it was peer reviewed). Meir Stampfer, a Harvard epidemiologist, asserted that Teicholz’s work is “riddled with errors”, while declining to discuss them with me. See also: Voice in the Wilderness, my May 18, 2016 recap of how the DGAC in cahoots with other prominent nutrition scientists tried to gag Teicholz. 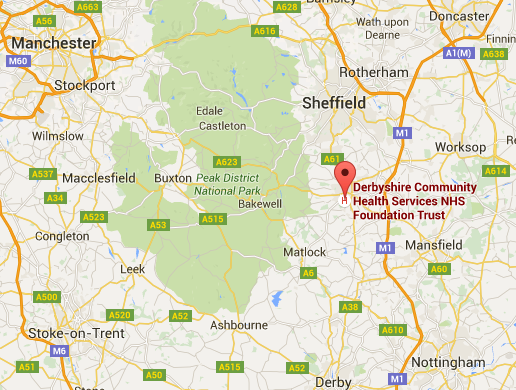 Today we filed a similar request with the CQC re: Derbyshire Community Health Services which is apparently offering “Neuro-Linguistic Programming” (NLP), “energy therapies,” and “Emotional Freedom Technique” (EFT), treatments discussed in the post Mental Help: Procedures to Avoid by retired psychiatrist Stephen Barrett MD, founder and proprietor of Quackwatch.com. (Click here to read the request). 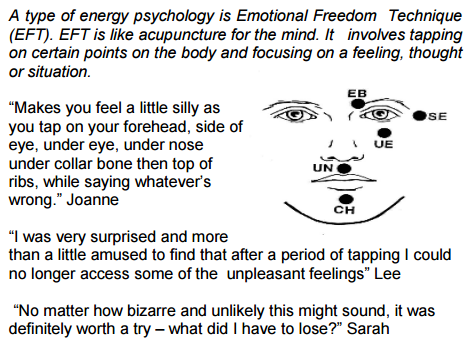 See also: EFT on the NHS, my April 4, 2016 item on Derbyshire Community Health Services’ promotion of Emotional Freedom Technique (EFT), brain child of US author Gary “I am not a doctor” Craig.